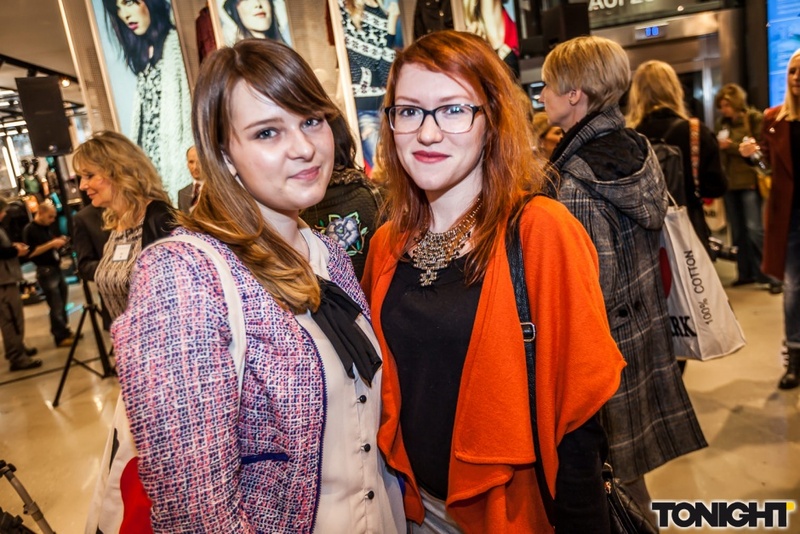 I was one of the really lucky bloggers who were able to go to the Primark pre-opening in Düsseldorf yesterday. I went there with the lovely Daria from Cinnamon Star. One and a half hours before the actual opening of this 11th German Primark store the bloggers and press got the possibility to learn more about the brand and get a guided tour through the new store. Besides from the yummy food (mini donuts, cakepops and more) we also good a goodie bag with a really generous 50€ voucher which we couldn´t wait to redeem. We only had very little time left before the actual opening of the store so we too had to struggle through the hundreds of people who before had been waiting in the queue outside to get a look at the new store as well. I saw quite a few things I really liked but I managed to limit the purchase to the 50€ from the voucher. Taking part in a Primark pre-opening is quite a cool event as you will never see a Primark that tidy ever again, haha! In order to see what I got at Primark you will have to wait until tomorrow. Meanwhile feel free to tell me your oppinion about Primark. I wish we had it in my country! Looks like a nice event! Great event to attend! I like the I heart Primark bags. I've heard great thing about Primark, although I've never been to one. The opening looked really exciting, and I love how they had food and drink on hand to celebrate. I didn't know there were Primarks outside of the UK!! Aaah ich bin neidisch!! Wie toll, und für 50 € kann man ja bei Primark echt viel einkaufen. Postest du noch einen Haul? ohhh überall macht ein primark auf, bloß münchen schafft es irgendwie nicht.